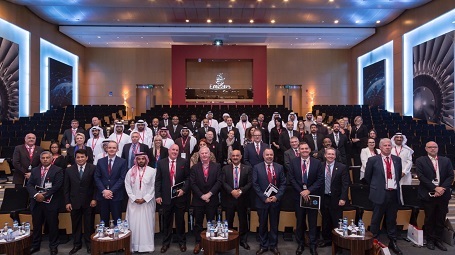 Dubai, UAE, 21 – 22 February 2017: Emirates Group Security (EGS) in conjunction with Austability held a successful CYMASS Security Conference at the Emirates Aviation College, Auditorium. Day-one consisted of guest speakers who offered their expertise on several topics such as, ‘the threats we face in places of mass gathering, social networking and its impact on how we communicate and congregate in the online environment, cyber terrorism & cyber-attacks on critical infrastructure and their implications for national security, cyber-attacks that target network security and information, a case study of CYMASS G20 Summit and planning for major events in a new era of technology. The highlight of the day was a live demonstration of a state-of-the-art drone with WI-FI based solutions designed for the drone world. Day-one speeches ended with a panel discussion of five speakers who expounded on the CYMASS combination concerns and came to a conclusion that all Organisers of places of mass gathering have an obligation to consider the risk of CYMASS in their security and emergency planning processes - Organisers should make available tools through which everyone can self-assess risk. Day-two saw several speakers who covered in depth various topics and like the first day, they introduced new views and opinions in subjects such as what to expect from CYMASS with a highlight in activating awareness, the Cryptographer guide to decoding the future, maritime threats, terrorism and piracy, cyber-attacks on places of mass gathering. The day was wrapped up with a five-panel speaker discussion on managing the media in CYMASS situations and what are the best and worst things that can happen from a security point of view in terms of media and communication.